I read somewhere once that salads are all about texture. 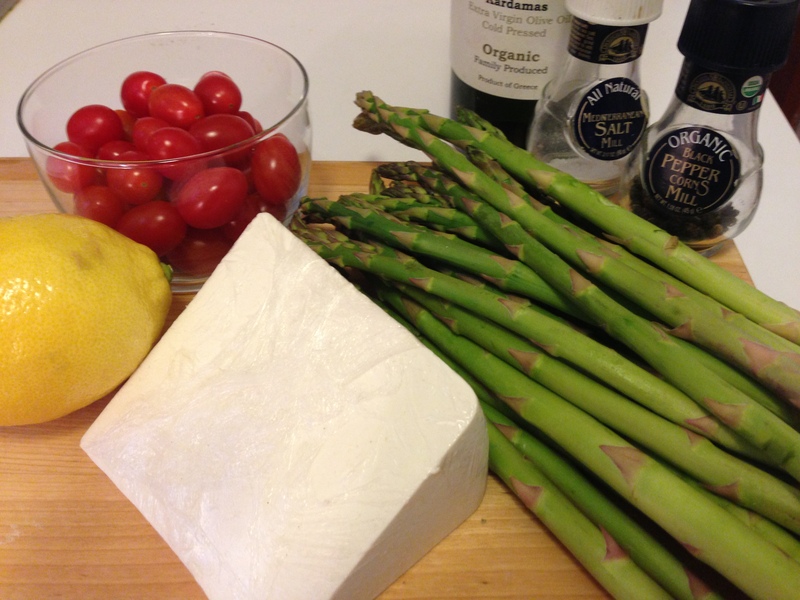 If that’s the case, then this one has it all: the crunch from the raw asparagus, the juiciness from the tomatoes and the salty smoothness of the ricotta salata. Hungry yet? 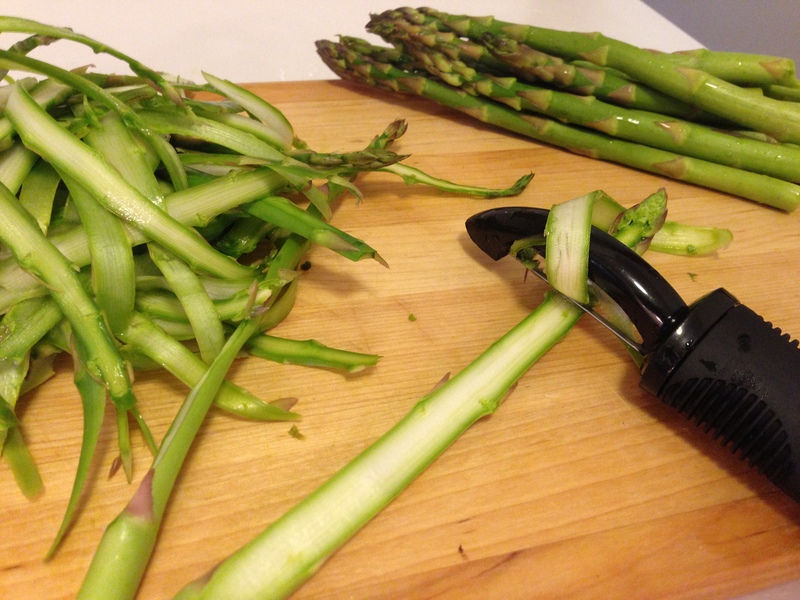 Start by prepping the asparagus. Wash them and remove about an inch or so off the ends. 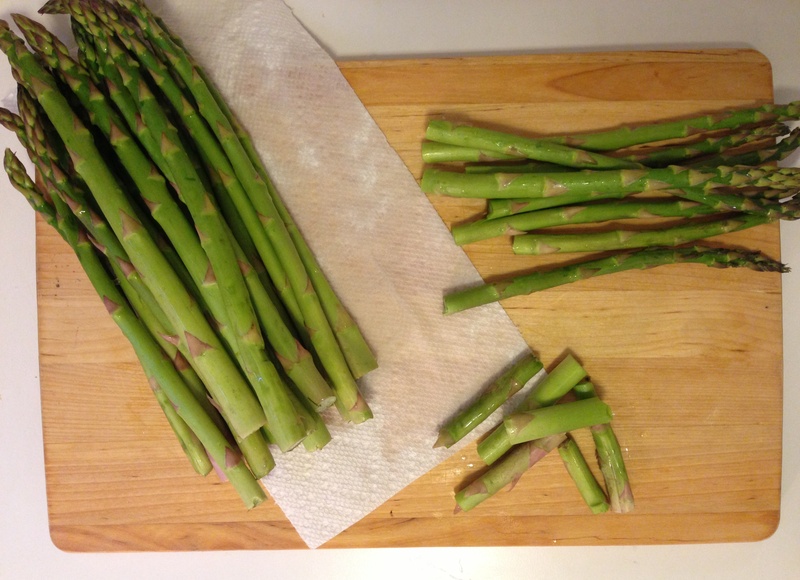 Asparagus have a natural breaking point so if you bend them gently at the stem, they will let you know where they’re supposed to snap off. With a potato peeler, gently (and carefully) start to slide the blade lengthwise along the spears. 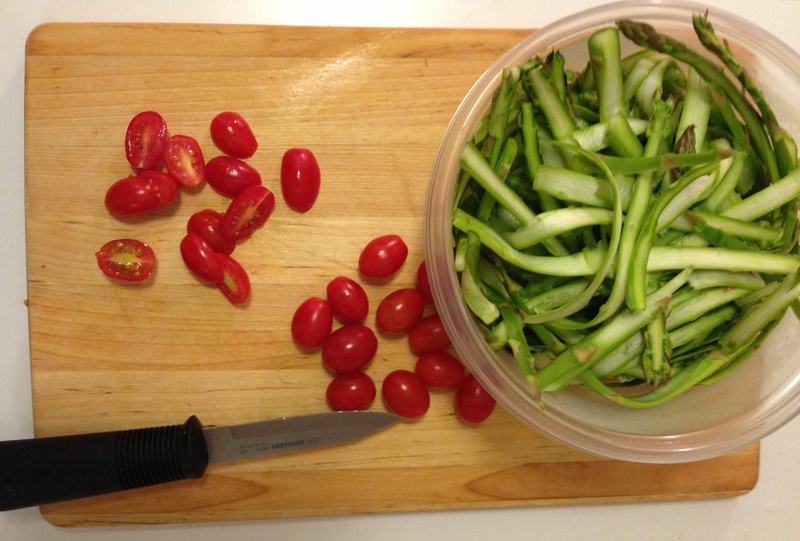 After the asparagus has been shaved, slice the cherry tomatoes in half. 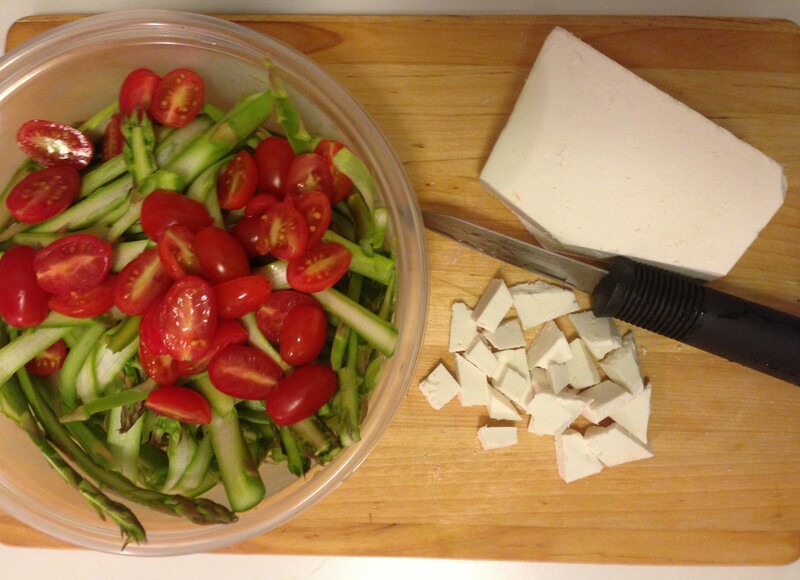 Now slice up the ricotta salata in chunks a little smaller than the size of the cherry tomatoes. Now it’s time to make the Lemon Vinaigrette: Squeeze half the lemon in a small bowl and whisk in an equal amount of extra virgin olive oil. Season the dressing with salt and pepper and pour over the salad. 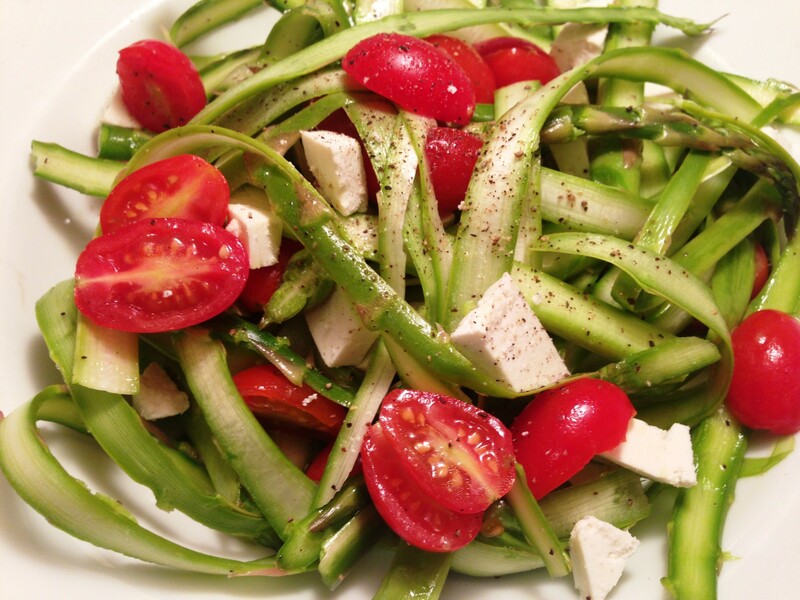 Gently toss the salad so the dressing evenly coats the vegetables. Happy eating! Fieldhouse Fun Fact: What I love about cooking in my small studio kitchen is that everything (and I mean everything) is all within an arms reach — the refrigerator, counter space, cupboards and stove dials… You can’t get that in a gourmet chef’s kitchen!